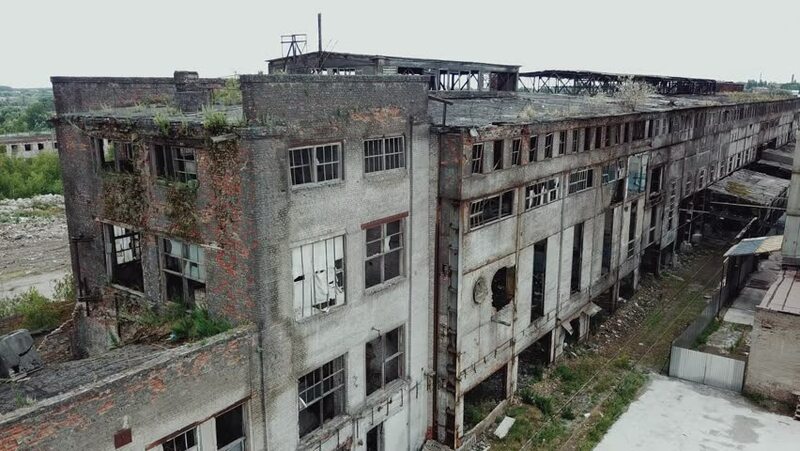 Aerial view from the air to an abandoned factory. Old industrial building for demolition. 4k00:14Coal mine ruins of the landscape _1 / 2016 October 29, shot in Hokkaido, Japan / Ruins and become abandoned shooting the inside and the outside of the coal mine of equipment. 4k00:14Static timelapse shot of a derelict building. For maximum image quality the uploaded 4K version has been encoded in 10-bit ProRes 4444 at 1313 Mbps.